Pope’s Kitchen is a company that spawned out of my catering company. People kept asking for my sauces to use in their kitchens at home. Eventually, a local CSA, Fresh Fork Market, asked to buy 250 jars of BBQ sauce, if I would make it from Ohio grown tomatoes. I happily agreed and thus launched what would become Pope’s Kitchen. Now we have grown into much more and are looking to refinance some old debt and attend the largest specialty foods show in the US! We are looking to borrow between $25,000 and $75,000 at 11.75% over 5 years. Anyone who is 18 years old can invest. The history of Pope's Kitchen is a story of the adventure of a side opportunity, crafting creative products in the summer while I taught high school special education, growing into a full time passion project. We currently have regional distribution in places like Market District Giant Eagle, and Williams Sonoma, with an expectation to expand further! 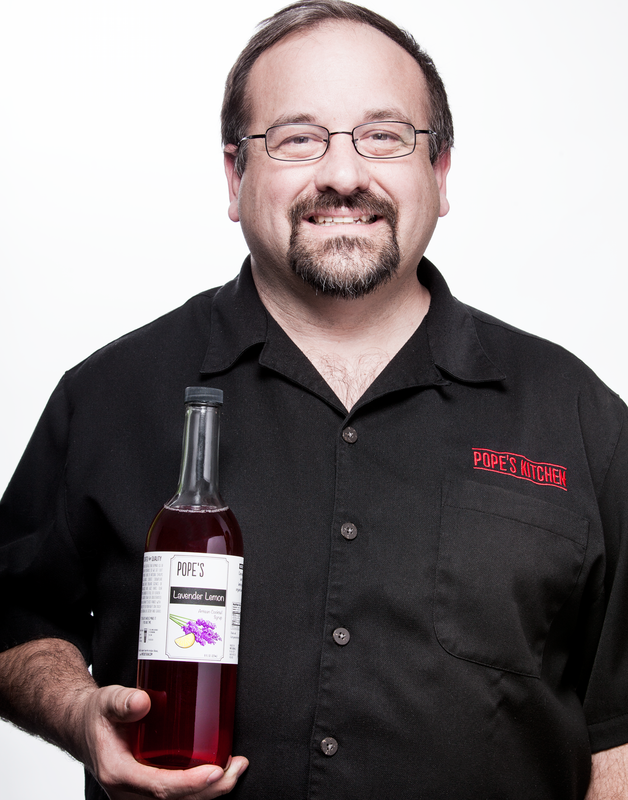 I started the business, providing condiments that were stripped of unnecessary additives and built on real food. The company mantra is "it’s how you would make it if you had time." 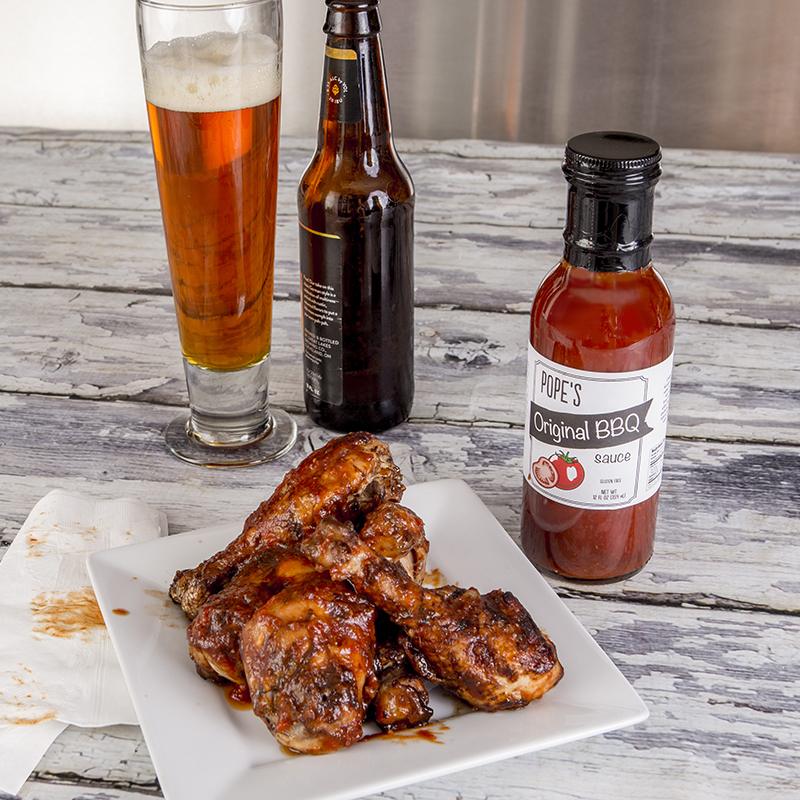 Pope's Kitchen uses only the purest and the best ingredients, to create sauces and mixes for my home and yours. However, as time went on, my catering business expanded into bar services as well. You know those mixes people typically use for Bloody Mary’s and other drinks? Those aren’t things I would want in my drink at a big event or backyard barbeque. So, in true Pope fashion, I set out to create the mixes and syrups I would want in my drink, and people took notice. I have been very blessed and now have strong relationships with both national brands, such as Tito’s Handmade Vodka, and local Ohio brands, such as Watershed Distillery. I have worked with these companies to create distinctive cocktails at large cultural events such as The Cleveland Night Market and The Cleveland Flea, amongst others. The very first restaurant to use my products was Market in Rocky River. Our Bloody Mary - Traditional was actually made for them! 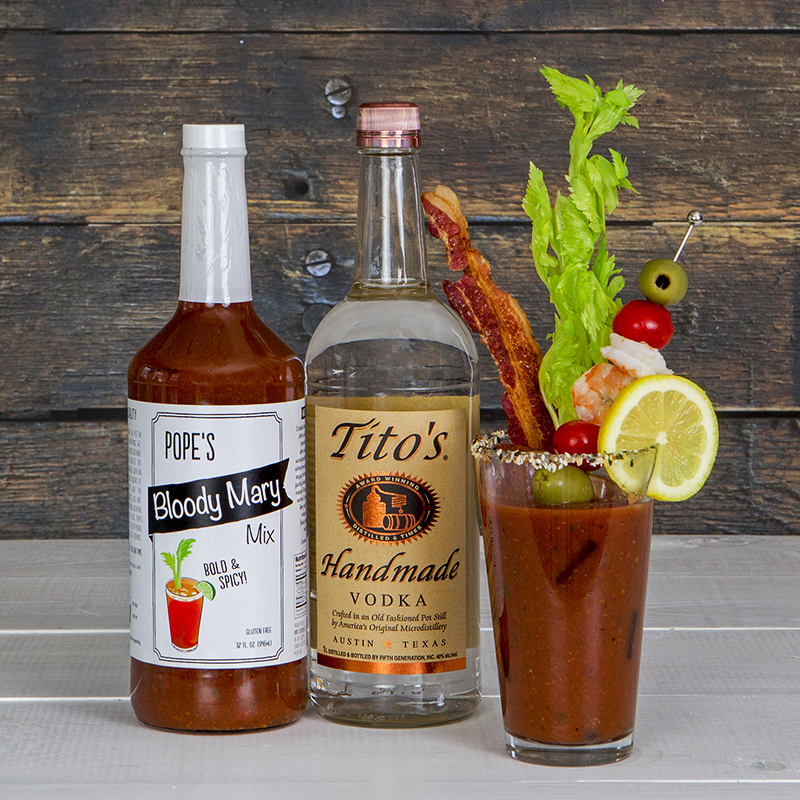 From the beginning, they have used nearly 10 gallons of the mix a week and have been recognized this year as one of the Top 10 Places for a Bloody Mary in Ohio and ranked by several publications as Cleveland’s best Bloody Mary for 3 years running! Our newest restaurant partner is theTurn Restaurant at The Ritz-Carlton in Cleveland which is now using the Pope’s Bloody Mary for their Sunday Brunch and the Pope’s Orange Habanero Cocktail syrup in their Azteca Old Fashion. Pope’s Kitchen is about four years old with our offices located in my lovely spare bedroom and our production facility being the shared commercial kitchen at Cleveland Culinary Launch and Kitchen. Our relationship with Cleveland Culinary Launch Kitchen truly built my business giving me a fully licensed and inspected facility to work in. I was one of the first businesses to be a part of CCLK, taking part in their first small food business incubation class. They have provided me with resources and a place for Pope’s Kitchen to call home and I have, in turn, provided mentorship and have been an active member within the community. Pope’s Kitchen has the very exciting opportunity to participate in The Summer Fancy Food Show, the largest specialty food industry event and showcase for food innovation in the US. This will be happening in June 2019 in New York City and will expose us to the single largest market in the nation! Attended by industry professionals across the United States, this is our first exposure to the national food scene. These buyers and innovators provide the opportunity to establish a foothold in the NYC market and beyond. This however, is not a cheap endeavor. The space at the show itself will be around $3,500 and I expect the whole trip to cost around $7,000), including booth design, and shipping product samples into the convention center. My preparations before the show will include flights, meetings, samplings and more. What this campaign is going to allow me to do is refinance some high interest loans I used to lay the foundation of my current success, get it all into one payment, and free up cash flow so that I can execute on this plan to participate in The Summer Fancy Food Show. *Quick disclosure: There is a risk that I may not be able to secure a spot at this event, as space may be sold out when I am able to get the funds together. There are no reservations. If that happens I will then be attending one of the other large industry trade shows, in Baltimore, Chicago or San Francisco. Thus the funds will still be used for the purpose of attending, just potentially not for this specific event. 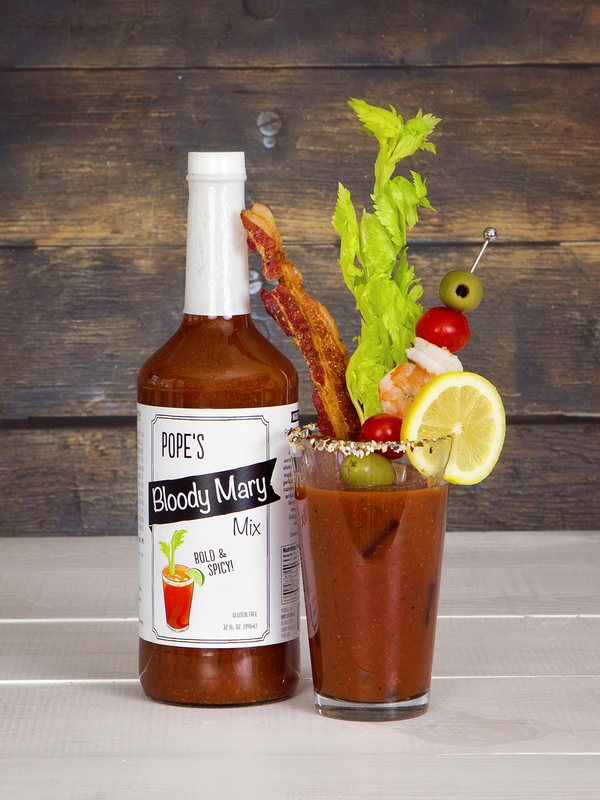 Retail size bottle of our award winning Bloody Mary Mix, along with our newest product, yet to be announced! Stay tuned! An annual cocktail package sent to your home for the duration of the investment terms! ** If you qalifty for this perk, but are unable to attend, you will instead recieve a kit to make the Super Special Signature Drink that we will be featuring at the party! That way you can still get your party on! I have taken an interesting path to small business ownership, leaving corporate America in 2000; I opened a small catering company while pursuing a second career as a high school teacher. Newly married, with the support of my wife, I was able to student teach and create sauces during the day while taking classes at night and catering on the weekends. After 12 years in education, with a steady passion for creating and sharing great food, a window was opened to chase the new dream full time. Pope’s Kitchen started with an annual summer backyard cancer benefit. As a high school teacher and part time caterer, I had the time to make the sauces from scratch. I loved to pull out all of the processed parts of a product and leave in only the best and purest ingredients. 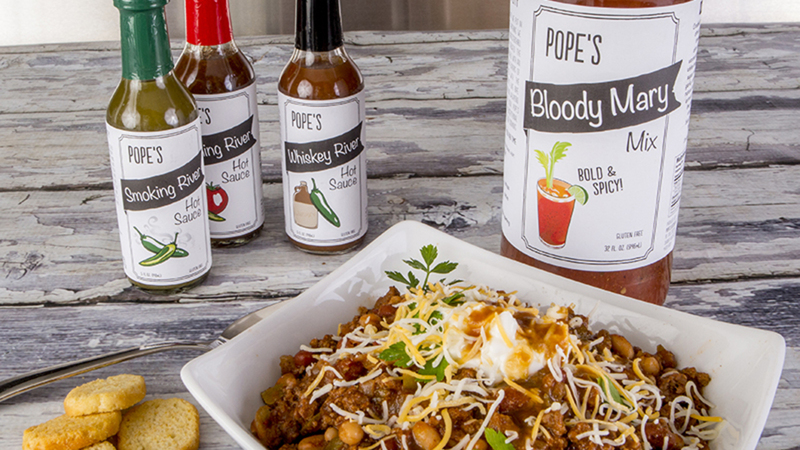 All Pope’s branded sauces and mixes use only inputs you can find in your local grocery. I am very proud of our ingredient list, you will never find concentrates or complex salts or other preservatives we cannot pronounce. Instead, we control for pH levels, water activity and temperature to make our products shelf stable. 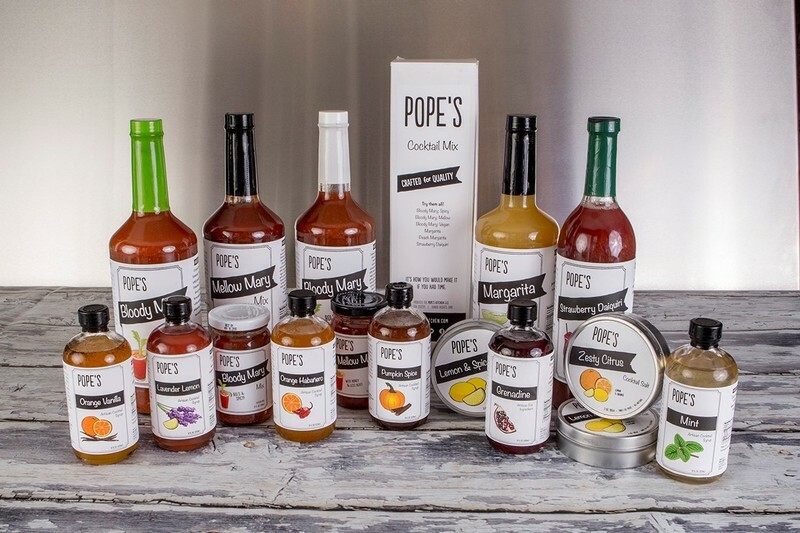 Now four years later, Pope’s brand products are sold in three states and online throughout the country. A journey made possible by active blending of the support of my family and friends, long hours, and passion. Pope’s Kitchen is still deeply rooted in the Cleveland Culinary Launch Kitchen’s communal commissary, in the heart of Cleveland. 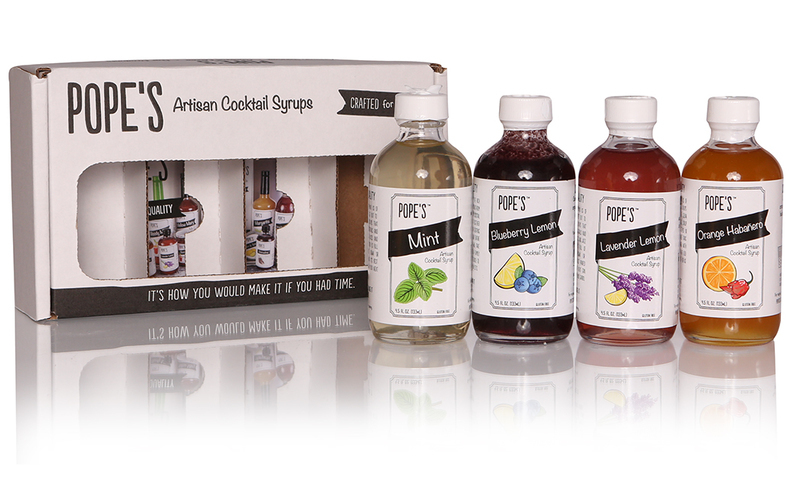 Pope’s branded products are available online at PopesKitchen.com and in many shops around Cleveland. There are also several restaurants that use our products. 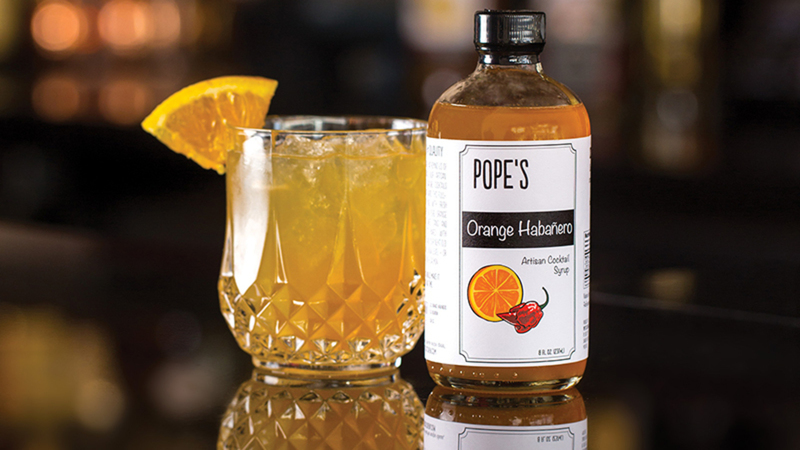 I am excited to note that with Pope’s growing relationship with Heidelberg Distribution, Pope’s Bloody Mary mix and Cocktail syrups are now available in nearly 400 retail and restaurant locations throughout Ohio. If you choose to invest, you will make a one-time investment via ACH that will be transferred to a secure escrow account. If the campaign successfully reaches its target, the funds will be distributed to Pope's Kitchen. *Individual payments may vary slightly based on rounding. Potential repayments include principal and interest, they do not include the one-time fee which is assessed when you make your investment. These amounts are calculated as a fully amortizing loan: principal and interest are paid down starting with the first payment. There are no prepayment penalties and Pope's Kitchen may pay down their loan early which may impact your earnings potential. Please note, returns are not guaranteed and investors could lose some or all of their investment. When Pope's Kitchen pays as agreed, you will receive quarterly payments directly into your bank account. In the event of a default, you will be contacted by the Administrative Agent to manage the collections process on investors' behalf. Honeycomb charges Pope's Kitchen a 6.0% - 7.0% loan origination fee if this campaign is successfully funded based on the amount funded.